Sunflower seeds are one of the world`s healthiest foods. They are a product of a beautiful plant that is believed to be one of the first plants cultivated in both Americas. Native Americans used its seeds as a source of food and oil. They also extracted a dye pigment from the flowers, roots, and stems of this plant. 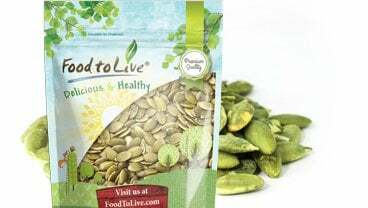 Sunflower seeds are valued for their high oil content, of which 90% is polyunsaturated fat. Oil made from sunflower seeds is one of the most popular in the world. The tables that show the nutrition facts of sunflower seeds contain almost all known substances that are essential for human health – vitamins, minerals, phytosterols, and amino acids. 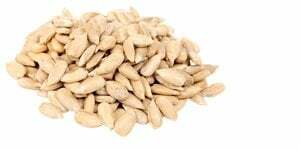 Some of them are found in amazingly high quantities, so it’s no wonder that these seeds are good for any person and can help the body withstand many ailments. 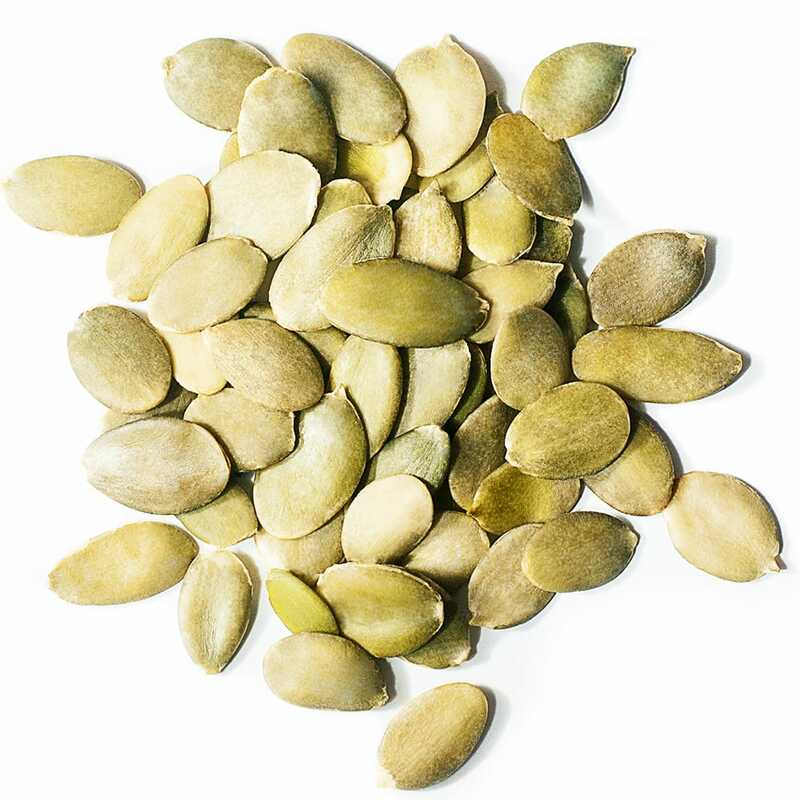 Sunflower seeds are an invaluable source of vitamin E, the main fat-soluble antioxidant. 1 ounce of them provides 66.4% of the daily required amount of this vitamin, whose job is the neutralization of the body`s free radicals, as well as the prevention of damage to fat-containing organs and substances such as the brain, cholesterol, and some others. It`s believed that oxidized cholesterol is one of the triggers of atherosclerosis, the main cause of heart ailments, and numerous studies testify that people who consume the right amount of vitamin E have a lower risk of dying from a heart stroke. Decreasing the risk of cancer. 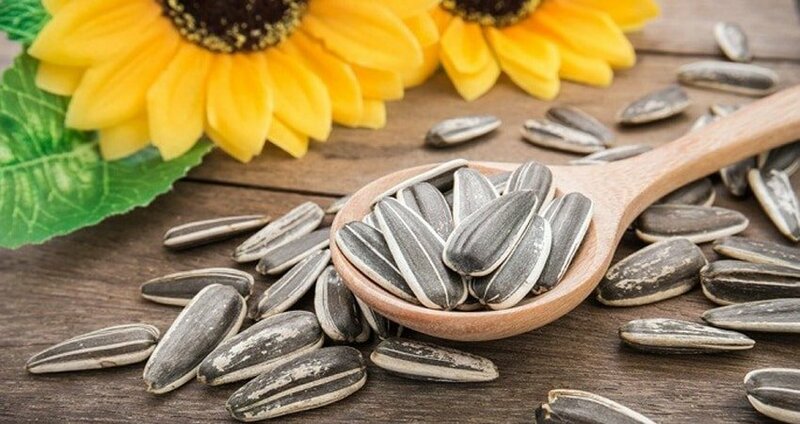 One of the main benefits of sunflower seeds is their rich content of selenium (28% of RDA per 1 oz), which is crucially important for human health. Various studies demonstrate the link between selenium consumption and the occurrence of cancer. This trace mineral plays an essential role in repairing DNA and inhibiting the growth of cancer cells. Selenium also converts into certain proteins, including glutathione peroxidase, which is of great importance for protection against cancer. This powerful antioxidant enzyme helps the liver detoxify a number of harmful molecules. There are some other chemical substances in sunflower seeds that play an important role in protection against certain cancers. These are phytosterols that boost the immune system, fiber that promotes cleansing of the digestive tract, preventing the risk of colon cancer, and almost the whole range of amino acids. Prevention of disorders of the nervous system. Sunflower seeds contain several nutrients that are highly beneficial for the functioning of the nervous system. Firstly, magnesium is what prevents calcium from getting into the nervous cells and activating nerves. As a result, our nerves become relaxed, and our muscles, including the heart, are less at risk from health conditions resulting from tension and fatigue. 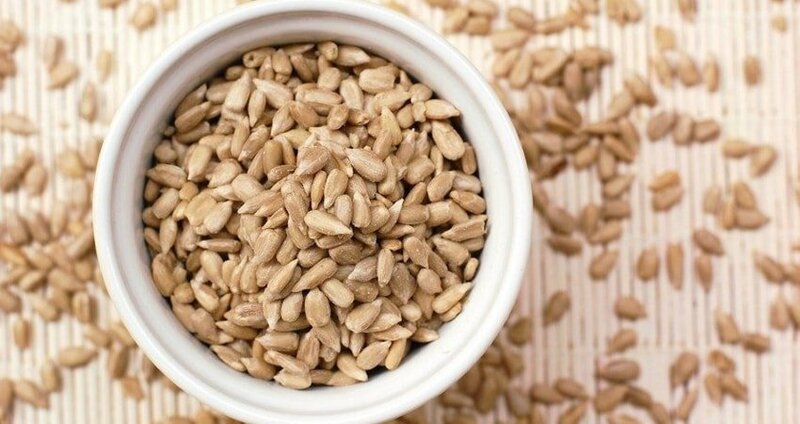 Secondly, these seeds help prevent depression due to a rather abundant content of tryptophan, an amino acid that plays an important role in the production of serotonin, a neurotransmitter. Low levels of serotonin in the body may result in depression, anxiety, and tension. 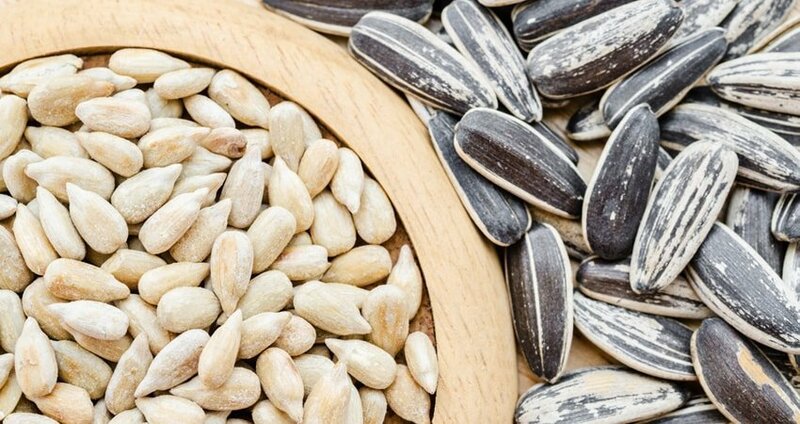 The benefits of sunflower seeds are fortified by their low glycemic index and presence of polyphenols, one of which is chlorogenic acid, which helps lower blood sugar levels by preventing glycogen from splitting in the liver. Energy supply to the body. 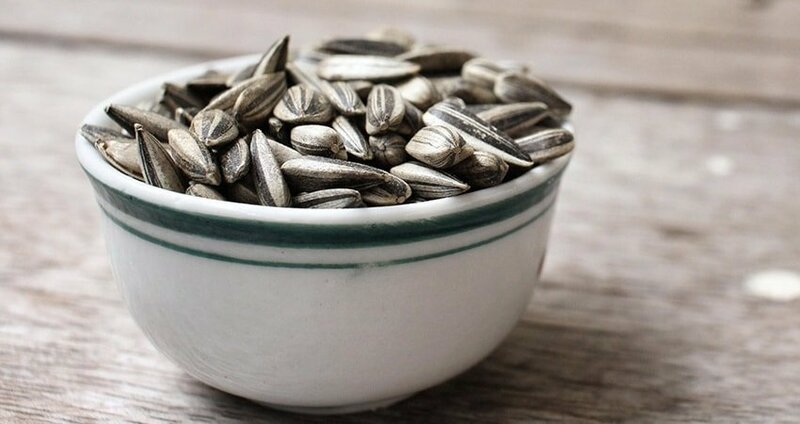 The number of calories in 1 ounce of sunflower seeds is 164. This makes them energy powerhouses. 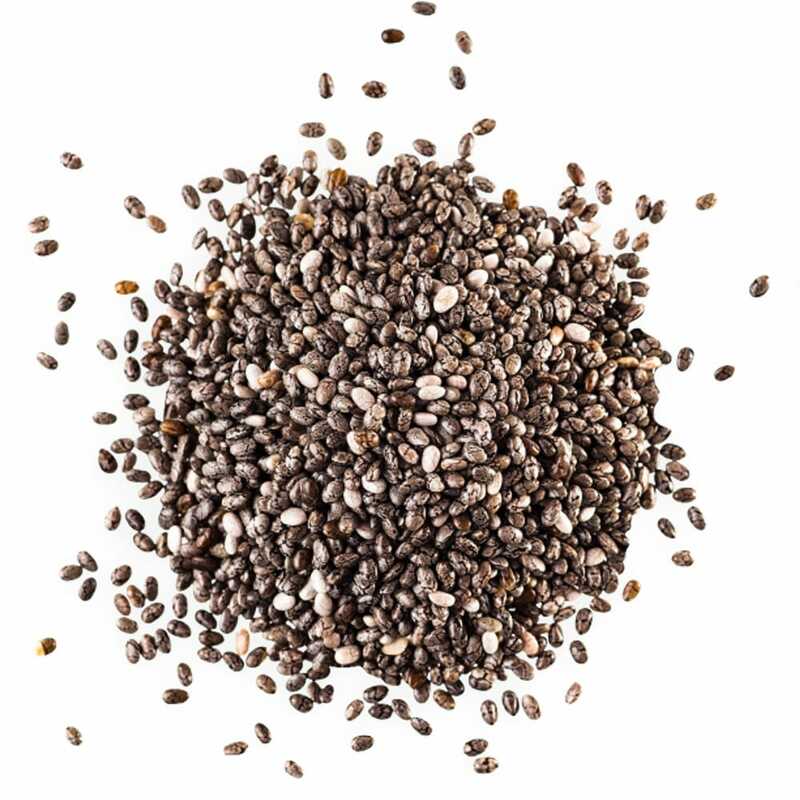 Additionally, the seeds are a rich source of the B-complex group of vitamins, as they include almost all of them. Vitamin B1, or thiamine, promotes chemical reactions within cells by activating certain enzymes. Due to it, our body is able to get energy from food and produce nucleic acids, which are the building material for DNA. According to studies conducted by Linus Pauling Institute, the recommended daily amount of vitamin B1 is 1.2mg for men and 1.1mg for women. 1 ounce of sunflower seeds provides 0.4mg of it. The density and strength of bones and muscles depend on minerals to a great extent. 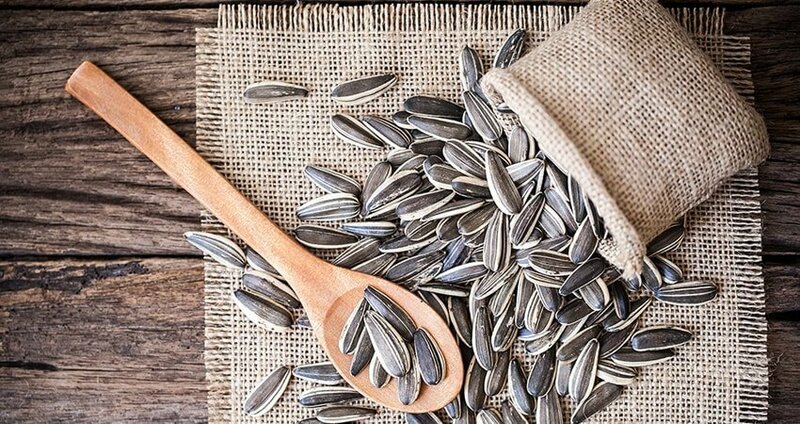 As they are packed with minerals such as magnesium, phosphorus, copper, zinc, and many others, sunflower seeds protect the bones and muscles against arthritis, osteoporosis, and osteoarthritis. Additionally, B-complex vitamins play a vital role in the mineralization of bones and regulation of muscle activity. Judging by the enumeration of the health benefits of sunflower seeds, it may seem that we are describing a patented medicine. However, the benefits of sunflower seeds are not just limited to your health. For centuries, people have used them as a very tasty food produce. Using them in your daily diet is quite easy. You can eat them both raw and roasted. Raw seeds are healthier, but roasted ones are more delicious, nutty, and crunchy. Give preference to organic seeds that have been grown without pesticides and harmful additives. Dissolve 1/3 cup salt in 2 quarters of water and soak shelled or unshelled seeds in the solution for a night. Drain the seeds and dry them on an absorbent paper towel. Preheat your oven to 300­ degrees Fahrenheit and spread the seeds evenly on a baking sheet. After 15 minutes of roasting, mix them for even processing and roast for 15 minutes more. Let them cool. Store in an airtight container. Unsalted: seeds are roasted in the same way without being soaked in salted water. 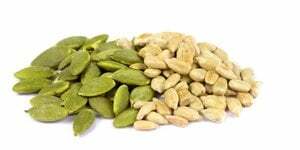 You can enjoy seeds as a nutritious snack. 2 ounces of them in the morning or afternoon will be enough to curb your appetite and let you stay full until your next meal. Sunflower seeds can be coated with chocolate, candied, or added to cakes and muffins as well as to salad dressing, casseroles, and baked food. Ingredients: 2 medium heads of romaine lettuce, 1 bunch of young dandelion greens, and 1 tomato cut in eight pieces. Dressing: 3 TBS chopped fresh basil, 3 medium cloves of garlic, pressed, 1 TBS prepared Dijon mustard, 1 TBS honey, ½ tsp salt, ½ tsp cracked black pepper, 4 TBS lemon juice, ½ cup sunflower seeds, 4 oz tofu, 4 TBS olive oil. Blend all dressing ingredients in a blender adding olive oil. Chop, rinse, and dry romaine lettuce and dandelion greens. Toss greens with the tomato and your desired amount of dressing. 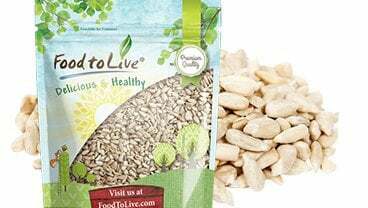 Two groups of people should be careful when consuming these seeds: those who suffer from food allergies and those who are trying to lose weight. 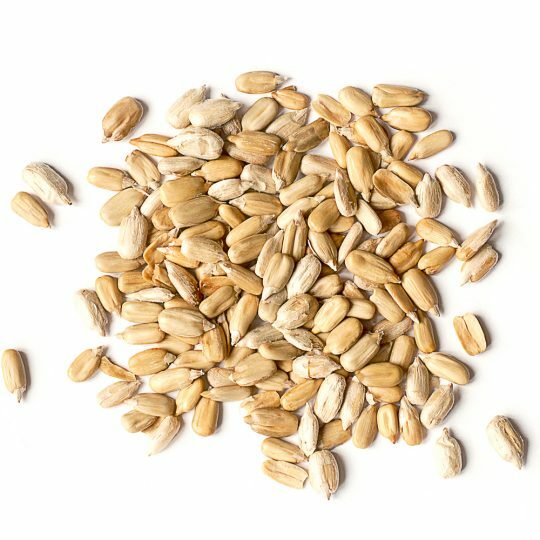 Cases of allergies caused by the seeds are very rare, and you can lower the risk by buying quality organic sunflower seeds. The seeds are very rich in fat. Although these are healthy fats, you should still eat them in moderation. Servings that don`t exceed 1 or 2 ounces may be included into your daily diet. 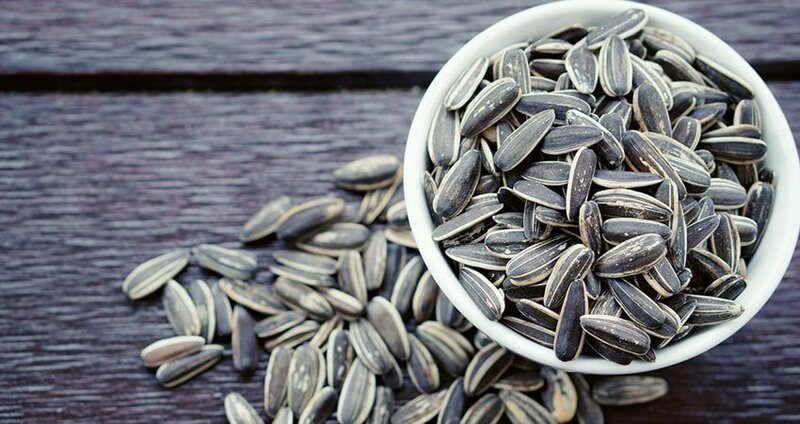 You should remember that sunflower seeds, if consumed in large quantities, can be fattening.